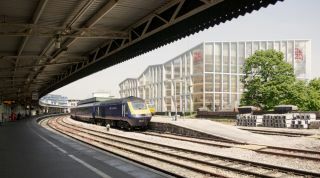 University of Bristol announces £43m investment plan in world's first Quantum Technologies Innovation Centre. Britain could soon become a major centre for quantum computing following the announcement of a major new research centre into the technology at one of the country's top universities. The University of Bristol has revealed it is set to invest £43m into a new centre for Quantum Computing research, making it the world's first such facility. The Quantum Technologies Innovation Centre (QTIC) will be based in the University’s £300m new enterprise campus, to be built in the heart of the city, sitting alongside other technology research centres focusing on the likes of data analytics, cybersecurity, communications and networks, digital health, smart cities, transport, robotics and autonomous systems, and creative digital technologies. Set to open fully by 2021 and predicted to create around 3,000 new jobs, the centre has been funded in partnership by £15 million from the West of England Local Enterprise Partnership (LEP), £21 million from industrial partners including aerospace giant Airbus, and £7 million from the University of Bristol. More than 200 University researchers will work alongside company partners on new prototypes and carrying out in-depth research into quantum computing. The centre will be equipped with affordable specialist incubation facilities for businesses looking to harness the power and computational abilities that quantum computing can bring, with recent Government estimates claiming that quantum technology will be an £1 billion industry within the next 10 years. “QTIC is the world’s first dedicated open access innovation centre facility for developing a broad spectrum of quantum technologies. It provides pay-as-you-go incubator labs and office space, access to state of the art equipment, supported by experts in a range of business, technology and manufacturing areas," said QTIC programme manager Mustafa Rampuri.